4th VIC - Bow: Thomas Warburton, 2: J D Nielson, 3: J P L Appleby, 4: Max Gaskin, 5: J P Gaskin, 6: Lachlan J Thompson, 7: A A Kelly, Str: Peter B Jelbart, Cox: J Cowling, Emerg: Jim Clemens, Cch: H La Roche, Mgr: H E Butler, Selector: G W Smith, H E Butler & coach. The conditions were a strong tail breeze making for a fast time but quite lumpy water. The victory by NSW is even more memorable when considering the whole of the Police Club eight was unavailable due to Olympic preparations. NSW got away well and moved out to 3/4 length lead by the end of the first mile. South Australia hung on well until 1/2 mile to go when NSW broke away and went on to increase the margin from one length to three. 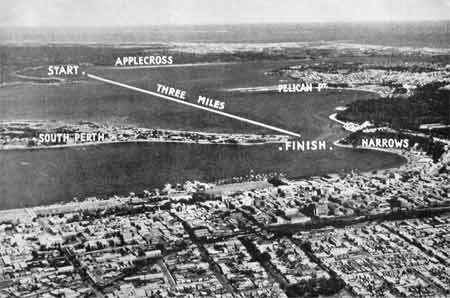 WA was a further 3 lengths further back in third place. The sculling race was a clear win to Pearce from the start. 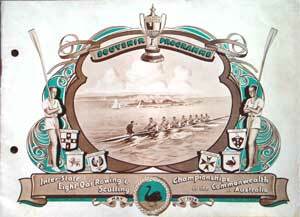 The Australian Women's Rowing Council was forced to decide which Queensland crew would represent Queensland in this Championship. 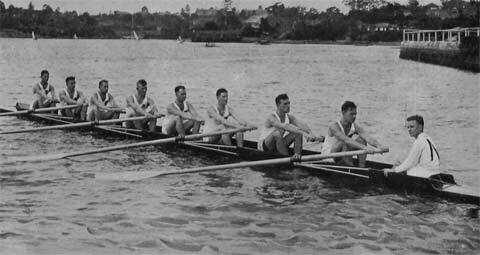 Both Queensland crews made their way to Melbourne in the expectation of being named the crew. The problem appears to have started in Queensland where the Queensland Women's Rowing Association did not recognize the Bundaberg Club as a women's club. Accordingly their members were unable to compete for the right to represent Queensland. 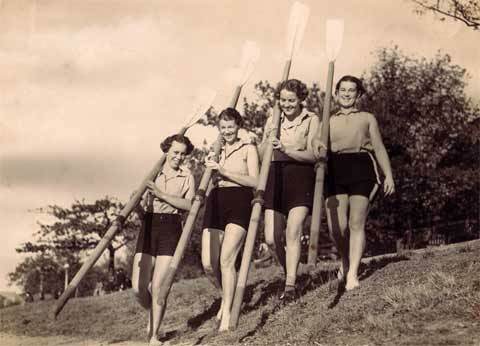 The decision made by the national body was based upon which club was affiliated with the Queensland Women's Rowing Association when entries closed. The Bundaberg Club was not so affiliated and were not given a start. A motion was moved at this meeting that neither crew be permitted to start but this was amended to allow one crew to start. 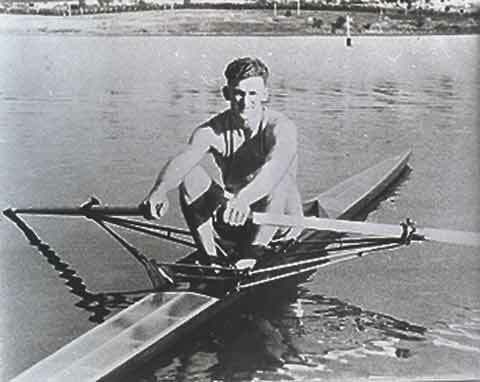 The South Australian crew suffered an illness to their two seat rower Pat O'Malley. Dean Bradley of the Railways Club, who lived in Melbourne, was used as a substitute. Victoria led from the start but had to withstand a push by Tasmania who got within a length at one stage. The Victorian crew went on to win by 4 lengths.